(Color : Grey. Quantity Size : 1 Pair (LH & RH). We hope you are satisfied with our service. Made in : Thailand. Made from : Good Quality Material. ) 2019-03-18. Condition : New. OEM used Honda part, this is the hand crank for the windows, fits all the doors. 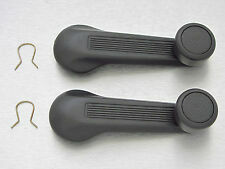 Honda OEM p/n#:72220-SH4-980Z Window Regulator Handle Assy. Palmy Brown OEM color. Exact Match For 88-91 Honda Civic's, and will function on a lot of other Honda models. Removed from 1991 HONDA CRX. Genuine HONDA Factory Used Part. FREE OF ANY BREAKS, CRACKS, or REPAIRS. 100% PERFECTLY GOOD WORKING ORDER! Very Good Used Condition. Up for sale is a good condition factory 93-00 Civic used light gray manual window winder handle. 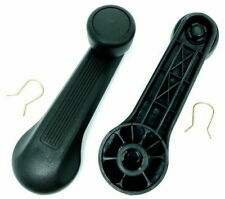 For sale is a Black window crank handle for the 1992 to 1995 Honda Civic models with manual windows. Handle includes mounting spring. Will work with other manual window Honda cars if you dont mind a black handle. 93 Honda Civic Cx Hatchback with manual transmission. We want you to be 100% happy with your order. 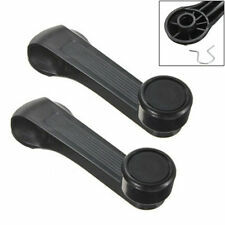 SET OF 2 WINDOW CRANK LEVER HANDLE WITH CLIP. HONDA CIVIC 1977-1983. Front left driver side non powered window regulator removed from a 88 Honda Civic Dx 4 door. 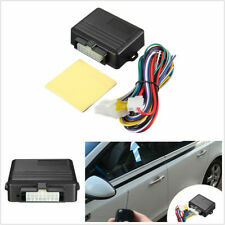 SHOULD fit 88-91 Honda Civic 4 door without power windows ONLY. Honda Parts Unlimited. Good working condition / Should fit 4 door ONLY. GRAY WINDOW CRANK LEVER HANDLE WITH CLIP. HONDA CIVIC 1977-1983. 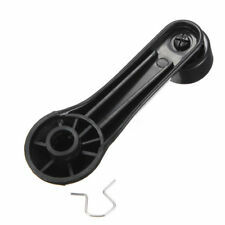 Window Crank Handle. No broken/stripped splines where handle attaches to window regulator. Only the color is slightly different. This is aright passenger side window regulatorremoved from a 91 honda civic hatchback si. It has been tested and is in good working condition. Will fit 90-91 honda civic hatchback. Honda Parts Unlimited. This is aright passenger side window regulator removed from a 96-00 Honda Civic 2 door. It has been tested and is in excellent working condition. 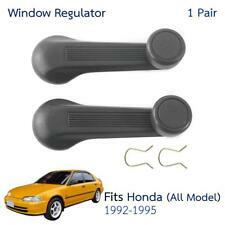 Will fit 96-00 Honda Civic 2 door without power windows. Honda originally introduced the Civic as a subcompact vehicle in 1973. The Honda Civic provided the handle style of window crank mechanism through the 2000 trim packages. The window hand crank is in regular use on your vehicle, and both the crank handle and its parts should be included in your car's routine maintenance program. Why does the Honda Civic window go off track? What is the function of the Civic window roller guide? 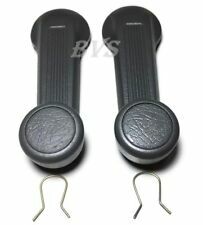 The window roller guide and roller inside the door of your car acts in concert with the window regulator each time you turn the handle. The window regulator is the mechanism that moves the glass up and down as you turn the door's crank handle. There is an attached roller arm that moves within the guide to provide the smooth transition from one window position to the next. It's a small wheel that moves back and forth within the guide on your Honda. What are symptoms of a failing Honda window regulator? A window regulator that is bent or has other parts that are worn out, such as the center pin, clips, or the pivot joint may need to be replaced. As mentioned above, a malfunctioning window regulator can be one reason why the glass jumps off track. It can also play a part in it sticking as well as any unwanted play or movement as you turn the window crank. Are the 1974 and 1985 Civic window crank handles compatible? While both vehicles' trim packages included manual cranks, Honda changed the interior door style of the Civic in 1984. The window crank handles require different parts. The same part for the 1974 vehicle will fit cars produced from 1973 through 1983. By the same token, those vehicles with manual cranks falling within the 1984 to 2000 time frame will have compatible window crank handles. Does each Honda Civic door require a different window regulator? Yes, it does, and not only does each door require its own specific Honda Civic window regulator, but there are a couple of other specification details. Aside from the division of years, as mentioned above, the coupe and sedan Honda Civic models also require different window regulators.